"It doesn't take an Einstein to understand modern physics," says Professor Wolfson at the outset of these twenty-four lectures on what may be the most important subjects in the universe: relativity and quantum physics. Both have reputations for complexity. But the basic ideas behind them are, in fact, simple and comprehensible by anyone. These dynamic and illuminating lectures begin with a brief overview of theories of physical reality starting with Aristotle and culminating in Newtonian or "classical" physics. After that, you'll follow along as Professor Wolfson outlines the logic that led to Einstein's profound theory of special relativity and the simple yet far-reaching insight on which it rests. With that insight in mind, you'll move on to consider Einstein's theory of general relativity and its interpretation of gravitation in terms of the curvature of space and time. 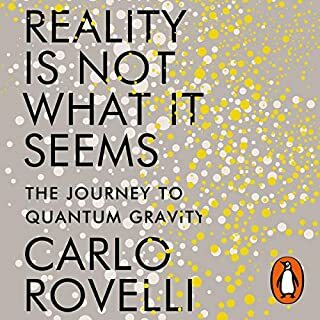 From there, you'll embark on a dazzling exploration of how inquiry into matter at the atomic and subatomic scales led to quandaries that are resolved-or at least clarified-by quantum mechanics, a vision of physical reality so profound and so at odds with our experience that it nearly defies language. By bringing relativity and quantum mechanics into the same picture, you'll chart the development of fascinating hypotheses about the origin, development, and possible futures of the entire universe, as well as the possibility that physics can produce a "theory of everything" to account for all aspects of the physical world. But the goal throughout these lectures remains the same: to present the key ideas of modern physics in a way that makes them clear to the interested layperson. Absolutely absorbing material with a wonderful delivery. I listened to it several times. Professor Wolfson is a superstar! There are obviously a lot of very complicated ideas I'm this audio book. You'd definitely need a basic understanding of science to grasp it... but it does a good job of explaining special relativity simply. 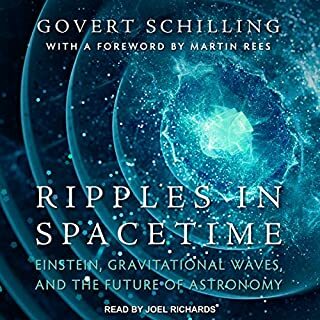 Quantum physics and general relativity I will need to re listen to! Very enjoyable! Prof Wolfson is fantastic, he is very enthusiastic and has a great explanatory style. A true pleasure to listen to! Great, thought provoking set of lectures. 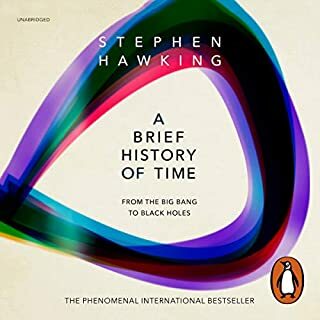 Wolfson provides a clear logical progression through classical physics and the discoveries that led to modern physics with a focus on relativity. This is a great 30,000 foot look at relativity, it's implications on current physical models and the challenges currently facing physics. Recommended for people, like me, with an interest in the discussions and thoughts behind relativity but don't have the time to explore all the math. I listened to this lecture series in the car, to and from work, and found it easy to follow and interesting. a bit confusing without the pictures that are accompanied with the course. it's pretty good though. 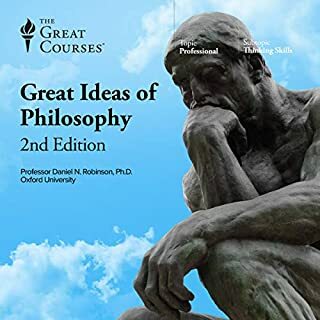 A lot of stuff in here helped me with various philosophical ideas. He talks very fast by the way. had me thinking the whole lecture, very enjoyable! 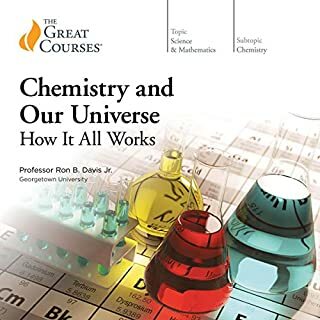 I'm hooked on the great courses material. absolutely loved it, i have learnt so much and enjoyed every minute of it. i think i'm going to replay it right away. I was a little ambivalent about trying one of these "Great Courses" on audio, especially with references to diagrams and such, but the instructor promised at the beginning that you could follow along at home without needing the pictures, and he was right, though there are points at which it might benefit a listener to pause the the lecture long enough to look up the diagram if you are having trouble visualizing what he describes. 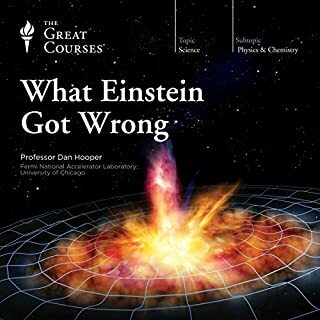 This is a course on advanced physics for people who are not physics students. All that high-level stuff like General and Special Relativity, the three fundamental forces, quantum mechanics, why nothing can go faster than light, how time dilation works, what is really going on with black holes and whether "wormholes" really exist (answer: there is currently no actual evidence of them, we just know that the math supporting the possibility of their existence works) and a dozen other topics for any long-time science fiction reader. And that is why I downloaded this course, because I haven't had a physics class since high school, and I've had only a brief survey course on quantum mathematics, but I wanted to understand the physics behind relativistic travel and the formation of the universe and quantum theory and all that jazz well enough to feel educated when I read science fiction that tries to be "hard" (and even to have a better grounding for any SF I might write myself...). I would say this course works very well for that purpose. The professor promises that the math is minimal, so at several points he handwaves the formulas, saying "Trust me (but go look it up if you want to really understand it)" but assures us that the concepts he explains require no more than high school algebra, for the most part, and this was also true. So this is a very "math light" physics course for non-physicists, and thus for someone who is a veteran of hard SF there won't be much here in the way of new concepts - you have probably read Heinlein's Time for the Stars in which a pair of telepathic twins conduct the famous "twin experiment" with one twin staying on Earth getting old while the other twin sets off on a journey in a spaceship traveling at near-lightspeed. And you've read lots of stories about black holes and how they "slow time" as you approach the event horizon. (Go see Interstellar - it's a fantastic movie.) And you know that pure matter-energy conversion would be a billion times more efficient than nuclear fusion, if we could do it. And you've heard of Schroedinger's Cat and how supposedly we could use paired qubits to achieve faster-than-light communication (we can't). And gravity warps time and space, and light is a particle and a wave (and in fact so is all matter, really), and Einstein refused to believe God rolled dice with the universe. All that is covered here, and at the end of it, you'll understand it better, conceptually, but obviously this cannot replace an actual physics course and if you want to really, really understand it, you'd have to actually get deeper into the math. I now have a better understanding of what physics says about General and Special Relativity and black holes and time travel and quantum entanglement. Do I really, thoroughly understand it? You'll probably find several points Professor Wolfson covers need to sit with you awhile, and some stuff you'll really have to read more deeply to fully "get it." But you can get the gist adequately from this course. So, this course will not work as a substitute for taking an actual physics class. It probably won't even work very well as a primer. 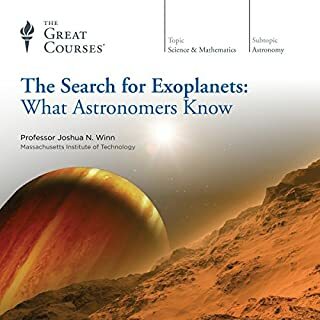 But if you're just a layman who already has some idea of the stuff you've been reading about in science fiction but you want to know more about it, you'll find this course quite valuable, and if you actually don't know any of this stuff, it will probably blow your mind. The lecturer builds up his topics very carefully, starting with what ancient astronomers and physicists knew, all the way back to Aristotle. There is a lot of physics history here, so you'll get your Copernicus and Galileo and Newton and Maxwell and Bohr and of course Einstein, and that part is also quite interesting, as there is just a little bit of biographical information about each person, but more importantly, what exactly they figured out and how and how it changed what was known up to that point in time. Overall, well worth the investment in listening to. I admit up front that I have a strong interest in this topic (relativity) but have only recently tried to better understand it. Professor Wolfson does a terrific job of keeping the explanations simple and easy to understand. He moves along quickly, so the listener needs to stay focused. But I really enjoyed listening to this and professor Wolfson makes it easy to listen to. 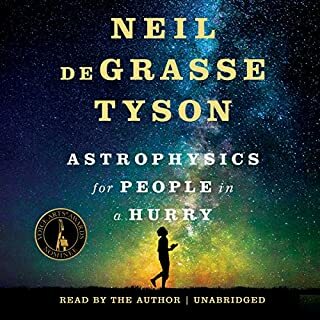 If you want to have a basic understanding of relativity, this is a great audio book to start with. I strongly recommend this. Great stuff - but not good audio book. I had some difficulties with this book, as the lecturer probably uses lots of pictures and illustrations. "As you see here..", "In the picture...", "Here we have clock A..." Fortunately the lecturer has so clear style in presentation, that it is possible to follow through examples without the illustrations. AND where are the illustrations? As I have bought a book that uses illustrations, I would expect them to be visible. Can't at least find them in the Audible pages. I would guess this would be good video lecture to follow. As audiobook .. leaves lots of room for improvement. As general book about theory of Relativity and Quantum physics, quite nice. Best explanation of relativity I've heard! - All of the books i've read/listened to always say, "Plank started the quantum revolution when he studied heat". then the next sentence would be about Einstein and the photoelectric effect. None of them stopped to explain what plank did. This book actually explains the "UV catastrophe" and how Plank resolved the problem. What about Professor Richard Wolfson’s performance did you like? What made the experience of listening to Einstein's Relativity and the Quantum Revolution: Modern Physics for Non-Scientists, 2nd Edition the most enjoyable? It's a fascinating topic, and Prof. Wolfson is clearly passionate about the subject. I found myself listening to 2-3 lessons at a time, and doing more chores than usual, because I was learning so much. Prof. Wolfson does sometimes sound like he's rushing to get through the material, in the tone and nature of his speech, but I was able to follow along with everything he explained. Obviously he couldn't cover everything. He made the comment several times "no math! ", which must say something about the intended audience. I'm not afraid of math, so I would've liked a little more on the math side, and more-detailed explanations of some of the more complicated subjects. Also, I'm not sure when it was recorded, probably early 2000s? Which means he's a bit out of date, e.g. talking about the Large Hadron Collider at Cern that was *going* to be built, which has now been built, and the Higgs Boson being a speculative particle, which they've now discovered. But hey, now I know what the "Hadron" in "the Large Hadron Collider" means! Overall, it's an easy-to-follow intro to both relativity and quantum physics. Almost certainly you can find all of this information elsewhere, but this is a nice format and a nice presentation. 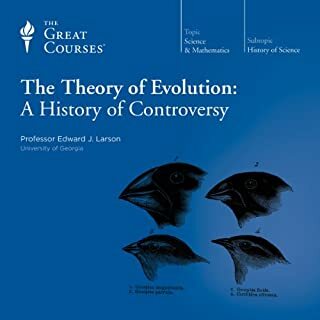 Please note that this course was released in 2000 and the science of the lectures is not updated. In addition, the course makes reference to a lot of visual resources, which is unfair to audio students. 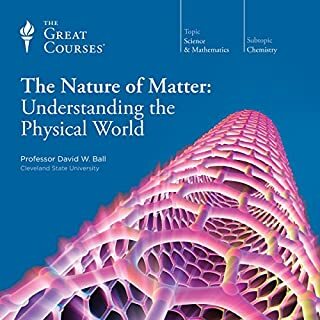 If you're like me -- intellectually curious but lacking a physics education -- then this course is a dream. I know my history, math, economics, music, biology, but physics? 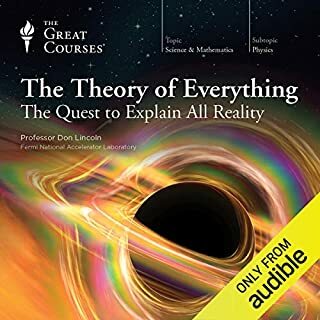 Before listening, I didn't even know what quantum mechanics was, and I couldn't have explained the first thing about the theories of relativity. Thank goodness for professor Richard Wolfson. This course provided an entertaining and user-friendly overview that I frankly raced through. It was that good. There were so many "aha" moments. General relativity, special relativity, black holes, worm holes, Schrödinger's cat... It's all making sense. Could I take an exam or teach it to others? Hmm... doubtful. But I certainly no longer feel ignorant about the subjects, and I finally know what people are talking about when I read about developments in theoretical physics. 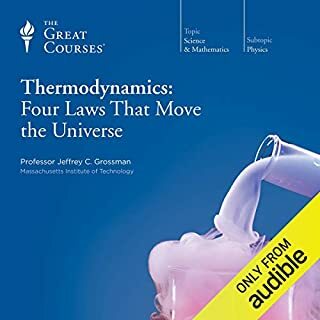 Getting these concepts across in an audio series would seem insanely hard, but professor Wolfson is constantly conscious of the audio listener, describing things in great detail, and referring to additional diagrams or illustrations in the included guidebook when such things would be helpful. Every once in a while, the fact that this series was recorded some years ago becomes obvious, such as when he refers to the UHF channels on your television, or to the Higgs Boson particle as something that has yet to be discovered (it was discovered in 2012). These things are chuckle-worthy, but do not detract from the value of this terrific series. 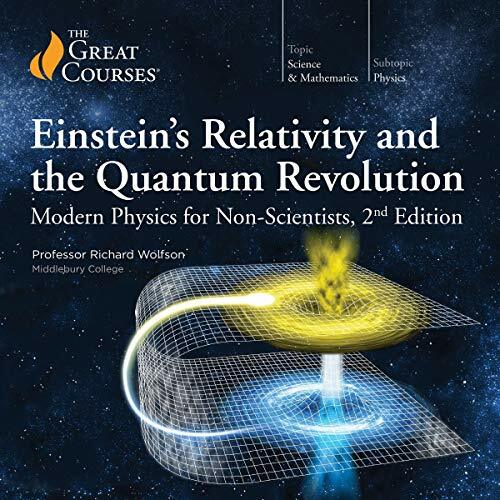 If you could sum up Einstein's Relativity and the Quantum Revolution: Modern Physics for Non-Scientists, 2nd Edition in three words, what would they be? To me this lecture was laid out very well. It help to give a nice introduction to modern physic without being too technical. While this is a good thing to not scare away a beginner or someone interested to learn more it lacks the technical information to make the ideas more concrete and less subjective. This is the way it is with any attempt to teach physics to non-scientist, so not a fault of the lecture but it would be great to have a follow up that take us to the next level. It is from 2000 so it is missing some new information but for a basic foundation it is very good. I found Professor Richard Wolfson to be a very good speaker, easy to understand and follow. I really enjoy science but I guess I'm what you would call a Lay person. I found Professor Wolfson's lecture engaging and informative. The repetition of key elements really helps hammer in a few key conceptual anchors. I am a professional Narrator and I find when I listen for a book that grabs me as a listener and keeps me, I'm stymied by repetitive cadences and falling inflections even from top narrators. I'm referring to fiction as well as non-fiction. It's a hard thing to avoid with long hours in the booth. I know, I've been there. Listening to professor Wolfson has reminded me not just to convey a story in the appropriate mood, but to EXPLAIN it. To lead a listener through the thought and intention behind every sentence. It's hard to keep up but I think that's what's engaging: a feeling of extemporaneousness; that the story is flowing organically through the narrator. Richard, If you're reading, you should get in touch with Alan Alda. Read the article in today's NYtimes. He could use your help! These lectures are 20 years old. Lots has happened in the world of Physics since then. Too bad Audible doesn't warn the buyer in advance that this is dated material! I've always rather regretted dropping physics at the age that I did, but assumed that my lack of advanced mathematics was probably a barrier to investigating the subject further by myself. I'm ecstatically happy to be proven wrong. I couldn't really be happier with this course. It seems to be pitched towards an undergraduate non-scientist level, which is to say that it assumes that you don't know any physics already, but *does* assume that you have a few brain cells to rub together. So far so perfect. The content is no doubt simplified and focused on the conceptual (Advanced physics without maths? How could it not be? ), but Professor Wolfson is superb in how he takes the listener through the evolution of various theories in engaging logical steps. 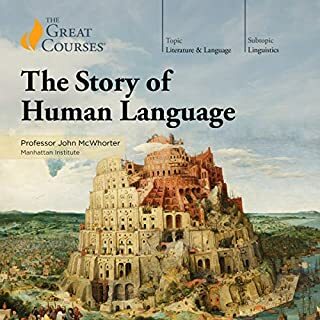 NOTE: There are references throughout the lecture series to occasional diagrams and course materials, which are *not* available for Audible customers to download form the Great Courses website. A quick google search however will usually provide you with similar diagrams if you just throw in the relative topic keywords. 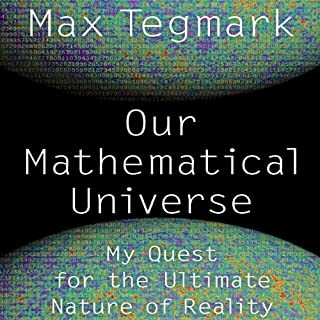 An enjoyable telling of the story of how the physical world works, which should prompt anyone to look for more, not least to look further into the mathematics underpinning it all. The lecturer speaks enthusiastically and quickly and sometimes loses track (entertaining in itself) but topics are well paced and points are repeated and reinforced so you don't have to continually backtrack if your attention strays. 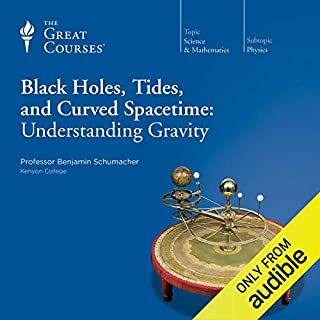 Unfortunately this offering is purely audio, with no apparent links to important supplementary visual aids (even the most basic diagrams and equations) which would be available if the audiobook was purchased from the original producer. This is simply wrong and unfair never mind the (usual) claim that they arent necessary given at the beginning. I'm writing this having studied these topics at undergraduate level - I feel that others are missing out. But as I said in the end it should encourage anyone to look for more elsewhere, which can only be a good sign. Yes. The lectures are well structured and progressive in approach. What other book might you compare Einstein's Relativity and the Quantum Revolution: Modern Physics for Non-Scientists, 2nd Edition to, and why? None that I have come across as yet. Have you listened to any of Professor Richard Wolfson’s other performances? How does this one compare? It felt a little slow in the first few lectures but as we got further into the subject, as a reader, I found that the repetition of the concepts kept me grounded and I never felt lost. Excellent examples and I found his diction and style to be crystal clear. Would you listen to Einstein's Relativity and the Quantum Revolution: Modern Physics for Non-Scientists, 2nd Edition again? Why? I think listening again will help me understand further this complex subject! 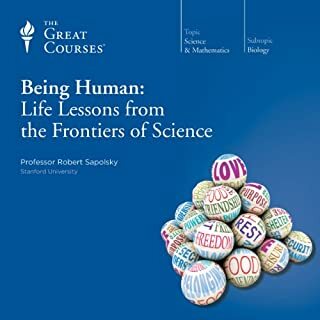 Who needs religion when you have such a wonderful scientific real world out there, described so clearly and enthusiastically in these lectures. A real pleasure from beginning to end. These lectures explain the relatively straight forward principals from which flow some very complex and bewildering physics. This is done in a clear and easy to follow way where much of the time the listener is lead to draw the conclusion that the lecturer is about to posit just in advance of it being stated. 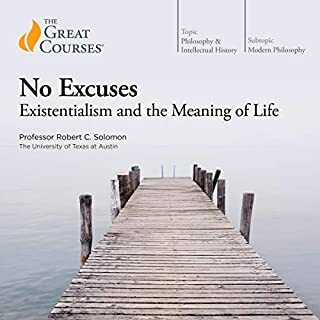 Would you try another book written by The Great Courses or narrated by Professor Richard Wolfson? What didn’t you like about Professor Richard Wolfson’s performance? a pity to spoil very good very clear content with poor speech/too fast/garbled at times. It becomes a strain to listen. 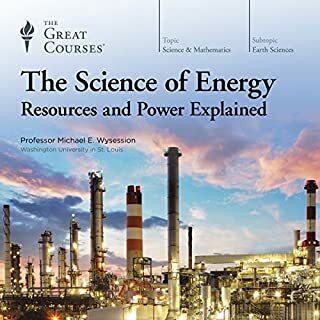 A long but great book/course. It's now made me want to read wider on the matter. Superb. Everyone, everywhere should hear this. It is certainly a revelation about how much we know and how brilliant were and are the people in these fields. I am much the wiser, although I fear persuading others to listen will be futile.